Chemicals are widely used in wastewater treatment to precipitate and remove phosphorus and in some cases to improve the efficiency of suspended solids removal. Chemicals can be added to raw wastewater, to a secondary biological process, or to secondary effluent, in which case tertiary filters or tertiary clarifiers are used to remove the chemical precipitates. • Phosphate precipitates. Examples are AlPO4 or Al(H2PO4)(OH)2 with aluminum salts, FePO4 with iron salts, and Ca3(PO4)2 with lime. • Carbon precipitates. This is significant with lime, which forms calcium carbonate, CaCO3. If two-stage recarbonation is used, a recarbonation sludge of nearly pure CaCO3 is formed. • Hydroxide precipitates. With iron and aluminum salts, excess salt forms a hydroxide, Fe(OH)3 or Al(OH)3. With lime, magnesium hydroxide, Mg(OH)2, may form; the magnesium comes from the influent wastewater, from lime, or from magnesium salts. • Inert solids from chemicals. This item is most significant with lime. If a quicklime is 92% CaO, the remaining 8% may be mostly inert solids that appear in the sludge. Many chemicals supplied in dry form may contain significant amounts of inert solids. • Polymer solids. Polymers may be used as primary coagulants and to improve the performance of other coagulants. The polymers themselves contribute little to the total mass, but they can greatly improve clarifier efficiency, with a concomitant increase in sludge production. • Suspended solids from the wastewater. Addition of any chemical to wastewater treatment process affects process efficiency. Therefore, the change in sludge production must be considered. Knowledge of the characteristics of sludge, along with the quantities produced, is important for the design of a sludge processing system in a waste-water treatment plant. 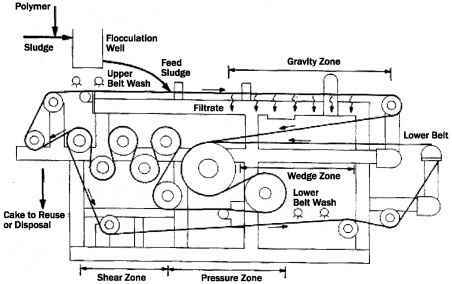 Several factors influence the characteristics of sludge. These include the amount and type of industrial waste contribution, ground garbage, storm flow, sidestreams from sludge processing units, and the treatment process used for the wastewater. Fresh primary sludge is a gray or light brown suspension with solids of different sizes and composition. Because of the high organic content of primary sludge, it decays quickly and becomes septic, which can be identified by its change to a dark gray or black color and an objectionable sour odor. Sludge characteristics vary widely from one treatment plant to another. Table 2.2 lists compositions of sludge typically seen in European and Russian wastewater treatment plants. These can be compared to the constituents of sludge in North America that are shown in Table 2.3. A range of values and in most cases typical values are given. Concentration is affected by the type of solids in the raw wastewater and the frequency of sludge withdrawn from the primary settling tank. Some plants withdraw the sludge less frequently and allow the sludge to thicken further in the primary settling tanks, thereby increasing the solids concentration of sludge. However, such sludge, because of its long detention time in the tank, can generate unpleasant odors. The quantity of raw primary sludge can be approximately 0.4 to 0.5% by volume of the plant influent flow, or approximately 1.1 m3 (39 ft3) per 1000 people. Source: Adapted in part from U.S. EPA, 1979. TABLE 2.4 Major Mineral Constituents of Sludge"
" Values shown are a percentage of total mineral constituents. The concentration of volatile solids in sludge will approximately match the concentration of volatile solids in the influent wastewater unless large amounts of sludge-processing sidestreams are returned to the primary tank influent flow. A volatile solids content below 70% of total solids is usually influenced by the presence of groundwater infiltration, stormwater inflow, sludge-processing sidestreams, a large amount of grit, industrial waste with a low volatile solids content, or wastewater solids that have a long detention time in the sewers. Volatile solids will also be at the lower end of the range if chemicals are used to precipitate phosphorus in the primary settling tank. Major chemical constituents of raw sludge include grease and fats, protein, nitrogen, phosphorus, potash, cellulose, iron, and silica. The major mineral constituents of sludge are shown in Table 2.4. Wastewater sludge may also contain heavy metals, such as cadmium, chromium, cobalt, copper, lead, mercury, nickel, and zinc. Alkalinity and pH are the most important of the easily measured chemical parameters affecting sludge conditioning. Raw primary sludge has a pH range of 5.0 to 8.0 and an alkalinity of 500 to 1500 mg/L as CaCO3. 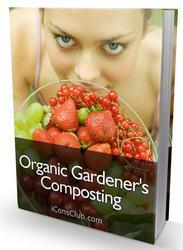 The organic acid content is 200 to 2000 mg/L as HAc.